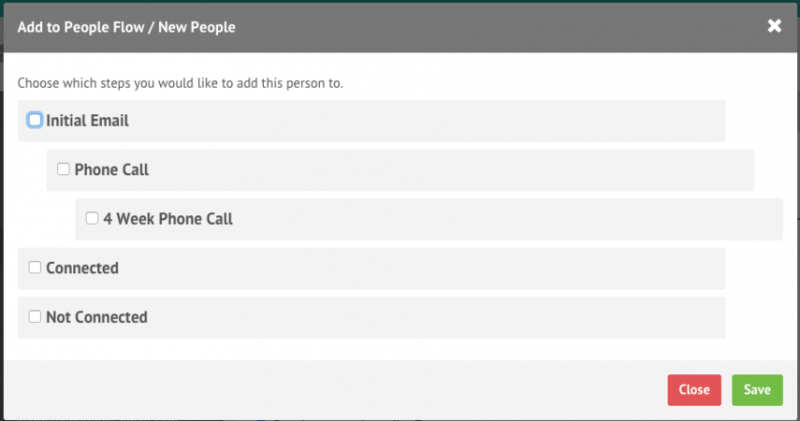 There are a number of ways to add people to people flows. To add people to a People Flow from within a particular flow, you first need to click in a particular step of the flow. This will take you to a screen such as the one below. To add a person, simply press the ‘Add Person to This Step’ button and search for their name. To add someone to a People Flow from within their profile, simply click ‘Add to People Flow’ in the blue sidebar. This will bring up an ‘Add to people flow’ window. Simply select the flow you want to add them to. Then simply the step, or steps you want to add them to, and assign an administrator. 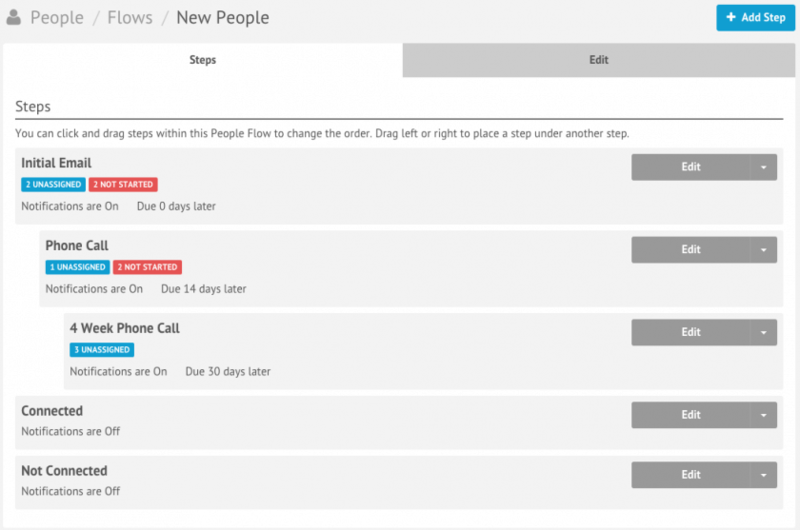 To add an individual or a group of people to a flow using the Mass Manage or Forms features, simply select the option of ‘Add to People Flow’ in the first action dropdown. Select the People Flow you want to add them to, and then assign which step and administrator.